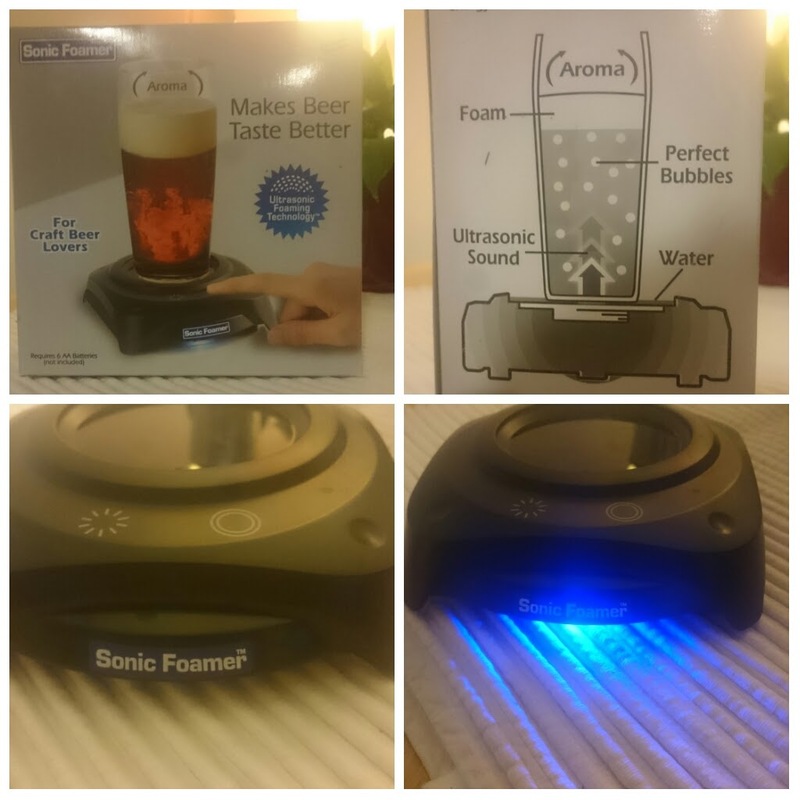 Just before Christmas we got sent the Sonic Foamer by the good folk at Sonic Foamer to review, I must admit I was curious as i’d seen it pop up on line before. As we all know aroma is a huge part of our enjoyment of good beer. In the sense of so much of our perception is there. Foam is part of that enjoyment – and as the guys over at Six Point actually recently blogged about it. You can read about it here. So it’s an opportune time to test this out. Firstly, it’s very well packaged and the instructions are clear and easy to follow. It needs 4 AA batteries, which power the ultrasonic part and the snazzy LED light that is on the base. 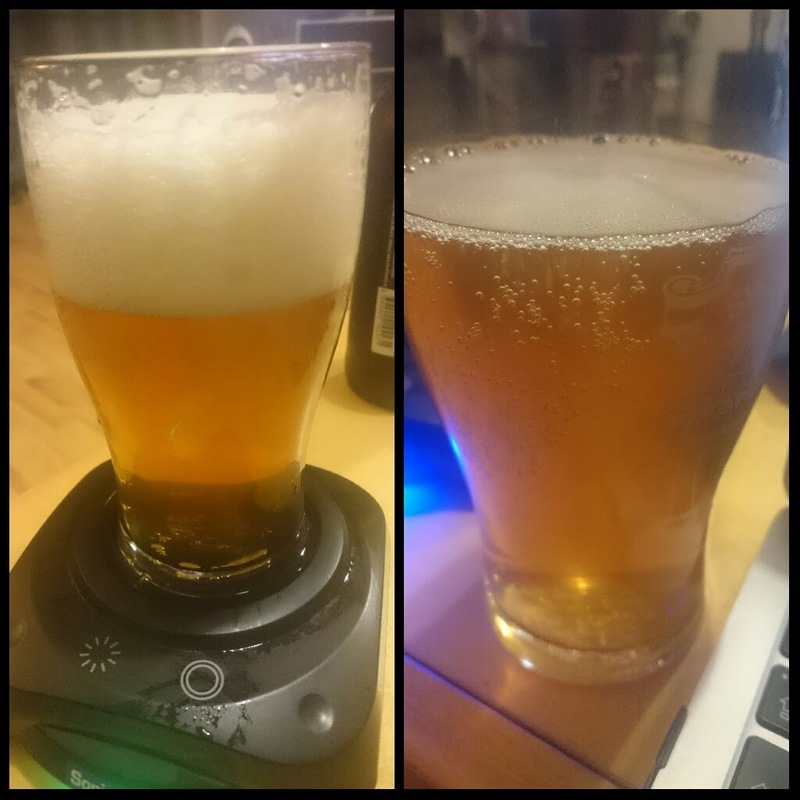 I tried this with two different styles of beer, the first I used it with 8 Degrees Barefoot Bohemian Pilsner, and Bru Darkside IPA to see if there was a difference in performance. Both beers were very cold, and used my Sierra Nevada glass. Well i can safely say it livened up the Pilsner. Already a faint grassy note on the nose, and citrus aroma. The foam now amplified those flavours. Giving a slightly fuller mouth feel. It also brought back more foam into the play when it began to recede. Now to try it with something with a more pronounced hop aroma profile, so I decided to test with local brewery Bru Brewery Dark Side IPA. The difference here was much more pronounced. Producing a luscious thick head. Packed with the flavours of the hops. 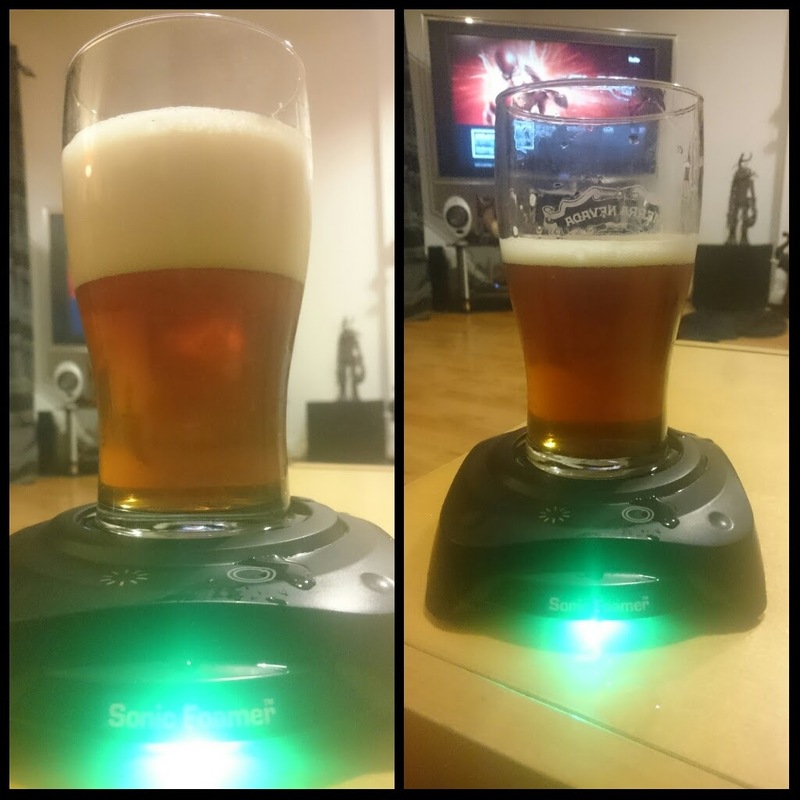 It also gave the beer a smoother mouthfeel. I must say I did initially think it was a bit gimmicky, but can see it’s applications. This could be useful in tap rooms, bars and of course your home. I am not sure if they have any European based sellers, but you can order directly from them or on Amazon. It would make a nice little gift for the beer lovers in your life. Only a couple of little foibles for me, mainly its that your glass is wet after so you’ll be dripping drops of water unless you pad it dry. I also think that over use would cause the beer to totally lose carbonation. Making it quite flat. So in other words, drink up!! But overall impressions were quite positive. Thank you to the folks who provided this product for review, I’m looking forward to more experimentation with different beer styles.